I am an Artist based in Auckland, New Zealand. 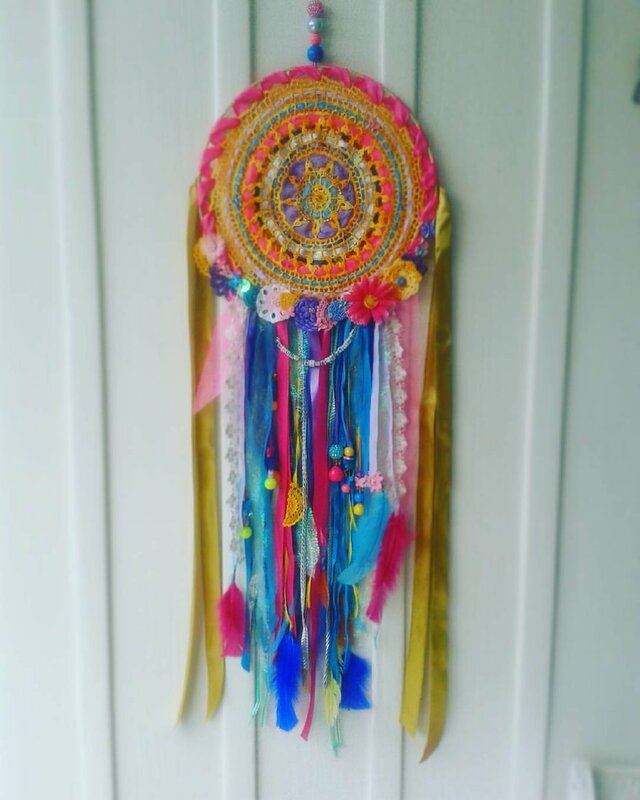 I make and create Dreamcatchers, Garlands, and other designs, mainly from up-cycled items. All of my pieces are unique and I create to order. I also run private dreamcatcher workshops, children's parties, baby showers. Dreamcatchers, Garlands, Mobiles, Earrings. Private Workshops and Dreamcatcher parties are available. I also have a market stall set-up suitable for festivals and events. I successfully gained Community Art Funding from Auckland Council and I have run a series of dreamcatcher workshops for children and adults in the Auckland area. I also run private workshops and parties for all age groups in your own home or event.